Ever since it was first released more than a decade ago, the Volkswagen Tiguan has maintained its reputation as one of the most-loved SUVs on the road due to its all-around family-friendly versatility. This year the brand has elevated this popular SUV to the next level. 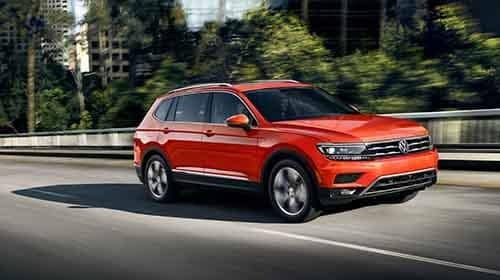 So what will Tampa drivers love about the new 2018 Volkswagen Tiguan, for sale now at our Tampa VW dealer? Let’s take a look. This SUV was already spacious before, but now it’s even roomier. With the rear seats down, the 5-passenger model of the 2018 Volkswagen Tiguan offers 73.5 cubic-feet of cargo space – that’s a 30% increase from previous editions. To make carrying even easier, dropping the rear seat is a simple matter of pulling a single easy to reach level. The 2018 VW Tiguan has been redesigned to offer a whole new level of exterior style. Longer, wider, and featuring dynamic sculping, the new Tiguan has received high praise for its bold, stunning aesthetics. For 2018 the Tiguan has also been given more performance capability. Thanks to its 2.0 liter turbocharged engine, the 2018 Tiguan pumps out a steady 184 horsepower along with 221 lb-ft of torque. And with the option to include 4MOTION all-wheel drive, the new Tiguan can be equipped to go anywhere regardless of weather or terrain. The 2018 Volkswagen Tiguan offers the best warranty in the nation, period. Not only does it offer bumper-to-bumper coverage for 6 years or 72,000 miles, but the warranty can be transferred to the next owner at no cost to you, which further increases its resale value. Ready to experience the enhanced versatility, style, and performance of the new 2018 Volkswagen Tiguan for yourself? Visit our Tampa Volkswagen dealer and test drive the 2018 VW Tiguan today. 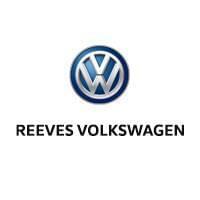 Between the unrivaled utility and capability of the new Tiguan, and the unparalleled service, selection, and savings offered by Reeves Volkswagen, you’re looking at an automotive experience worth bragging about.